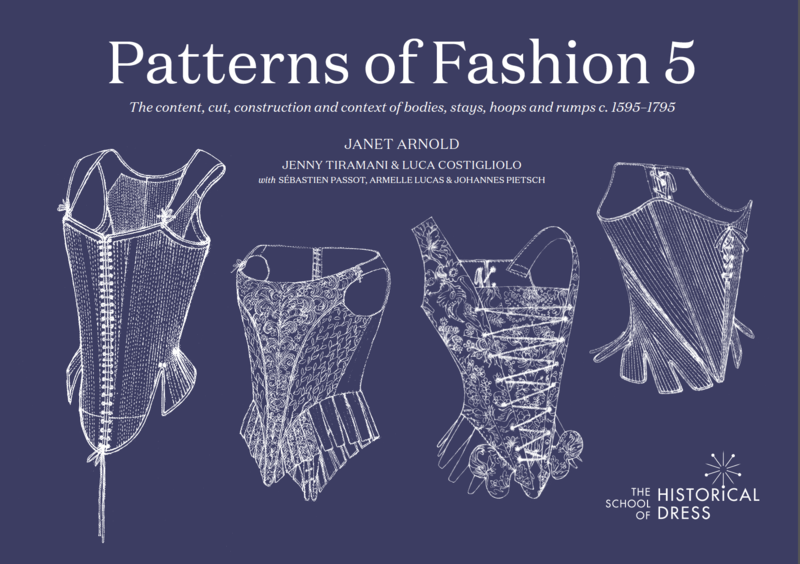 The fifth volume of the Patterns of Fashion series, published by the School of Historical Dress, includes patterns for 26 pairs of stays, a farthingale, 10 hoops and a rump.160 pages in full-colour, including the patterns. The third pattern book by four members of the School of Historical Dress, with V&A curator Susan North. This book includes a detailed analysis of four doublets, a pair of trunk hose, a hat, cloak, sword harness and other accessories from the V&A collection. 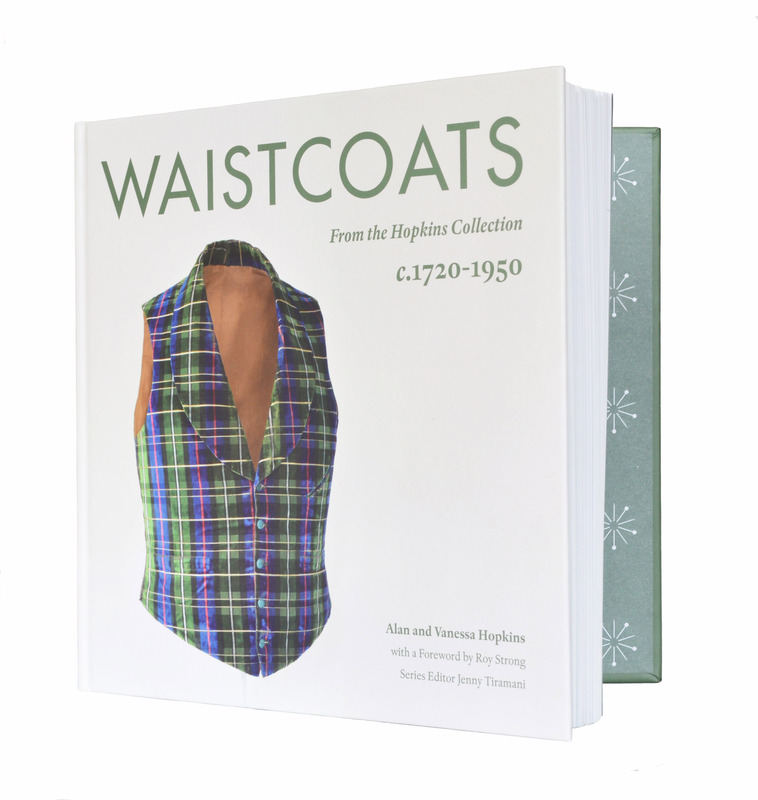 Our second publication is now available to purchase on the school website SHOP at www.theschoolofhistoricaldress.org.uk Price £25 The book features more than 150 waistcoats from The Hopkins Collection, arranged in chronological order to demonstrate the evolution of shapes and styles from c.1720 to c.1950 and exemplify the Hopkins’ interest in the clothes worn by people from all classes of society. The waistcoats are shown with close-up details of its shape, construction and decoration, alongside images of people wearing similar styles from the same time period. 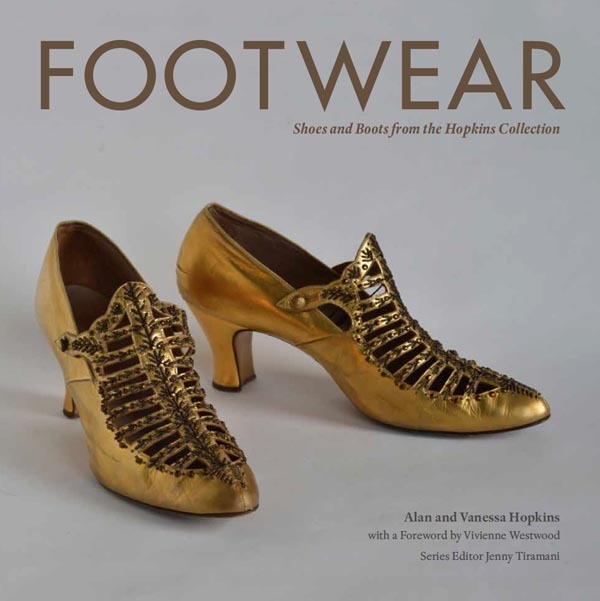 Our first publication is now available to purchase on the school website SHOP at www.theschoolofhistoricaldress.org.uk Price £25 The book features more than 200 items of footwear from The Hopkins Collection, arranged in chronological order to demonstrate the evolution of shapes and styles from c.1730 to c.1950 and exemplify the Hopkins’ interest in the clothes worn by people from all classes of society. The footwear is shown with close-up details of its shape, construction and decoration, alongside images of people wearing similar styles from the same time period. 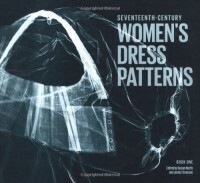 Patterns of Fashion 1 features Englishwomen’s dresses and their construction from 1660 to 1860. Drawings taken from original garment specimens in collections throughout England are supplemented with details showing their construction and scale patterns of them laid out on grid paper along with construction comments and fabric details. From wrapping gowns, riding habits, pelisses, and chemises to sack dresses, morning dresses, and wedding dresses. Contains 180 black and white illustrations. 28 patterns. 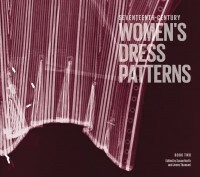 Patterns of Fashion 2 focuses on the eighty-year period preceding the Second World War. Beginning with a day dress from c. 1861-3 from the Museum of London and ending with a 1938 Evening dress from the V&A costume historian and researcher Janet Arnold traces period and style and draws up scale patterns from the original garments on grid paper with construction instructions. 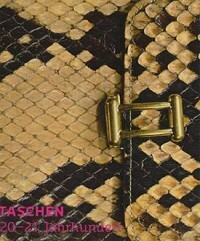 An introduction focuses on patterns published in fashion magazines of the period. Contains 226 black and white illustrations. 34 patterns. 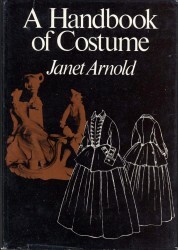 The third volume in Janet Arnold’s groundbreaking series, concentrates on the Elizabethan and Jacobean eras. Significantly, too, this is the first of Arnold’s books to include patterns for men’s clothing. As well as Janet Arnold’s meticulous scale patterns for these remarkable garments, the book includes 300 black and white photographs ranging from portraits of the period to details of articles of clothing. 56 patterns. A book dedicated to the linen clothes that covered the body from the skin outwards. It contains 420 full colour portraits and photographs of details of garments in the explanatory section as well as scale patterns for linen clothing ranging from men’s shirts and women’s smocks, ruffs and bands to boot-hose and children’s stomachers. An invaluable guide to both the history and the recreation of these wonderful garments. 85 patterns. A guide to the primary sources for costume study intended for everyone who is interested in costume, whether amateur or professional, teacher or student. It is an authoritative guide to the primary sources for costume study, among them painting, sculpture, tapestry, drawings, engravings, photographs and film, outlining some of the problems involved in their use. 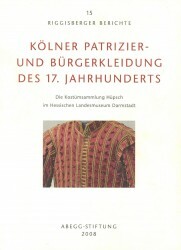 It explains how evidence can be pieced together from literary and archive sources and a fascinating section explains how costume can be dated accurately and subsequent alterations – for ordinary wear or for fancy dress – detected through details of cut and construction techniques. 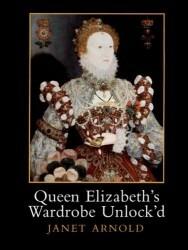 A study of the clothes worn by Queen Elizabeth I, based on portraits, warrants for the Wardrobe of Robes, and other surviving material. Includes full transcriptions of the inventories of the Wardrobe of Robes prepared in 1600, preserved in the British Library, Public Records Office, London, and the Folger Shakespeare Library, Washington DC. Illustrated with 460 B&W photographs the book is an invaluable reference work for students of the history of dress and embroidery, for social historians, for art historians working in the filed of portraiture, and for those who recreate sixteenth-century fashions for pageants, dance, historic re-enactments, theatre, film and television. The book covers the period from the early sixteenth century to the First World War and is arranged chronologically to accommodate the underlying changes in fashionable dress and the lace worn with it, but, within each chapter, the different types of lace are dealt with one by one. 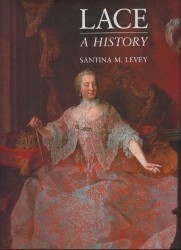 Greatest attention is given to the leading fashion laces but less important laces are also described; these range from simple domestic trimmings and cheap copies worn lower down the social scale, to ‘fossilized’ versions of once fashionable laces which continued to be made for peasant communities and for some conservative societies in the New World. The distinguishing technical features of each lace are described and particular attention is given to the close copies of historical lace that were made in the late nineteenth century. A guide to the riches of the Blackborne collection recently donated to the Museum. Beginning with an introduction to the firm of A. Blackborne & Co, 19th century lace dealers, it covers the outstanding collection from the sixteenth to the nineteenth centuries. Many pieces will be displayed in the new permanent Textile & Dress Gallery due to open late 2008. 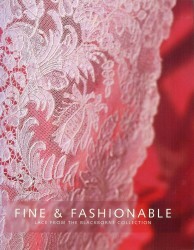 This is not just a book for the lace enthusiast, but a book which allows the innocent and perhaps rather uneducated eye to be drawn into the luxurious world of lace, to the beauty and skill behind these items of portable property which were at the centre of the world of fashion. 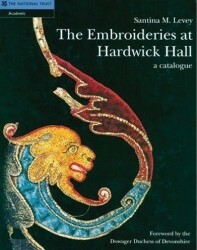 The Embroideries at Hardwick Hall is the first ever catalogue of one of the most important collections of embroidery anywhere in the world. More than 200 spectacular and rare objects from the late sixteenth century are discussed in terms of their design, matrerials and wider significance in the fields of both social and artistic history. All are illustrated by specially commissioned photography. Volume 15 of the Riggisberger Berichte presents the most important collection of seventeenth-century bourgeois garments. The coherent ensemble of bodices, doublets and men’s gowns provides, with the help of pictorial and documentary sources, fundamental insights into the clothing of the period, its making and manner of wearing. Historical and technical analyses as well as extensive material analyses contribute valuable information. The richly illustrated catalogue section includes colour images, both full views and details of the clothes, as well as scale patterns of each garment. A separate chapter is devoted to the elaborate conservation and the made-to-measure mannequins. 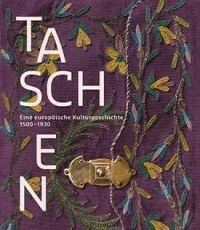 A catalogue to accompany an exhibition of bags curated by Dr. Johannes Pietsch at the Bayerisches Nationalmuseum, Munich in 2013. This innovative and breathtakingly detailed book from the V&A presents dress patterns, construction details, embroidery, and making instructions (including a knitting pattern and lacemaking) for 15 garments and accessories from a seventeenth century woman’s wardrobe. Step-by-step drawings of the construction sequence and scale patterns for each garment enable readers to accurately reconstruct them. There are scale diagrams for making linen and metal thread laces, silk braids, and embroidery designs. Multiple photographs, close-up construction details, and X-ray photography reveal the hidden elements of the clothes, the number of layers, and the stitches used inside. 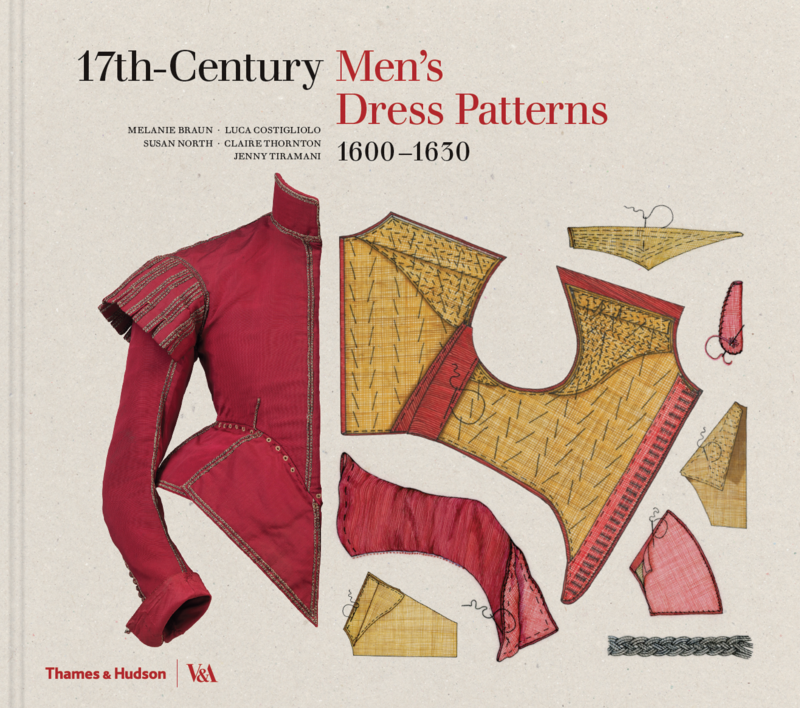 This first book in a new series takes the physical examination and study of historical clothing to a new depth and degree of detail, using the expertise of designers, tailors, and makers from London’s Shakespeare’s Globe Theatre. Book Two in the V&A’s groundbreaking new series presents 17 patterns for garments and accessories from a seventeenth-century woman’s wardrobe. It includes patterns for a loose gown, a jacket, a pair of stays and a boned bodice, ivory and wooden busks, shoes, a hat, a stomacher, linen bands and supporters, a bag and a knife case. It also features a description of the stay-making process. Full step-by-step drawings of the construction sequence are given for each garment to enable the reader to accurately reconstruct them. There are scale patterns and diagrams for making linen and metal thread laces and embroidery designs. Multiple photographs of the objects, close-up construction details and X-ray photography reveal the hidden elements of the clothes, the precise number of layers and the stitches used inside.